Join our friends at Corpus Christi Watershed at their 2017 Symposium, June 26-30, 2017 in Alhambra, CA, sponsored by the Priestly Fraternity of St. Peter. Designed especially for directors of music, gain valuable resources and training with an outstanding faculty. All Symposium events will take place at: St. Therese in Alhambra (1100 E Alhambra Rd, Alhambra, CA 91801). 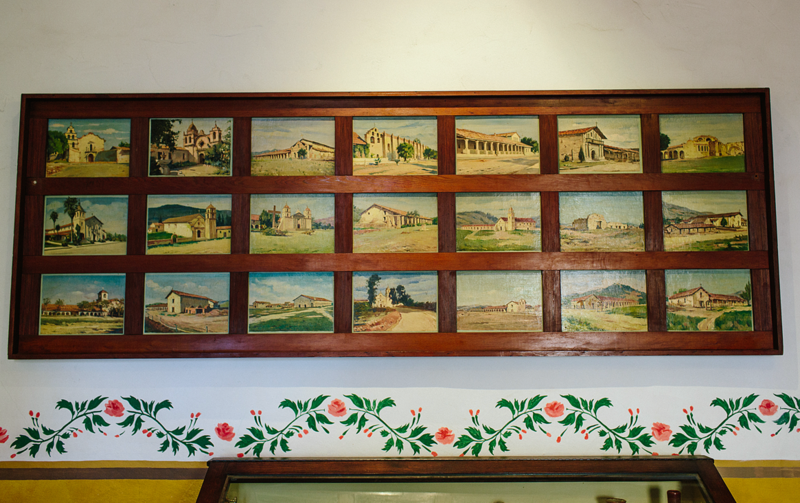 However, on the final day, participants will be taken by bus to sing a Solemn High Mass in the historic SAN FERNANDO MISSION CHURCH and given an opportunity to visit the museum. For the schedule of events and all the details, visit their site here: CORPUS CHRISTI WATERSHED SYMPOSIUM. If you have interest in participating, please make contact with them to reserve a space by 2/14/17. 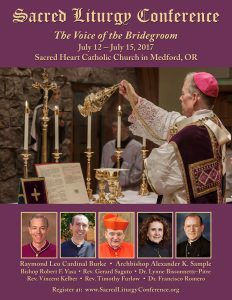 Registration is now open for the 5th annual Sacred Liturgy Conference scheduled for July 12-15, 2017 in Medford, OR. Join Raymond Leo Cardinal Burke, Archbishop Alexander K. Sample and Bishop Robert F. Vasa in Southern Oregon for a three-day immersion in the Church’s sacred liturgy and its living musical heritage. The theme of this 5th annual conference is “The Voice of the Bridegroom” and will focus on sacred liturgy, Church history and the role of Gregorian chant. The conference will include eight important and informative lectures, five chant workshops, four sung liturgies, and plenty of time for fellowship. His Eminence Cardinal Burke will give a lecture and celebrate an Extraordinary Form Solemn Pontifical High Mass assisted by priests of the Priestly Fraternity of Saint Peter. Archbishop Sample will give a lecture and celebrate a Pontifical Mass in the Ordinary Form. Additional faculty will include Bishop Vasa, Rev. Gerard Saguto, FSSP, Rev. Vincent Kelber, O.P., Rev. Timothy Furlow, Dr. Lynne Bissonnette-Pitre and Dr. Francisco Romero. 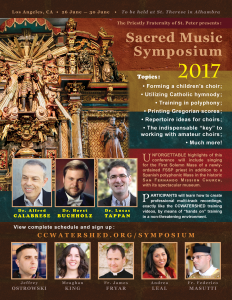 The conference is organized by the Director of Schola Cantus Angelorum, Dr. Lynne Bissonnette-Pitre MD, PhD, LGCHS and hosted by Sacred Heart Catholic Church in Medford, Oregon. This Sacred Liturgy Conference promises to be intellectually, liturgically and spiritually enriching. To find out more specifics about the schedule, accommodations, and how to register for the conference go to www.SacredLiturgyConference.org . You may also call 206-552-3400 or email sounavoce@gmail.com. Don’t delay, as space is limited and registrations will be accepted on a first-come, first-served basis.